Congratulations on getting clear! You did it! We are so excited for you:) And wish for you to stay clear. This really is possible if you continue with what you have learned thus far as a lifestyle. Our team has helped you to get clear but we are also here to help you stay clear. Past graduates have said that having the support of their Acne Specialist to checkin with every other month for an Acne Peel and regimen adjustment was the key part to keeping their skin clear. Over time it is normal to think that your acne is permanently cleared because your skin looks so good….but, unfortunately, adult acne requires constant maintenance. This membership provides everything you need to feel confident in your achievements so far and to say “I got this!”. **Please note, this is an exclusive membership only available to Graduates of our 3-month Acne Program. 12 payments of $30 per month auto-charged to your credit card or $349 paid in full upfront. Payments are auto-charged every 30-days starting on the day you join. 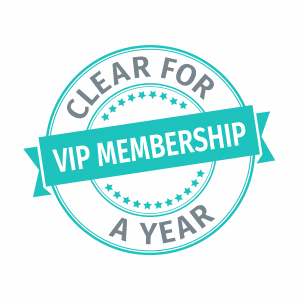 Membership is valid for 1 year and will not automatically renew. Please contact us by phone to renew your plan. Cancel at anytime (prior to auto-charge processing), upon cancellation all treatment and product discounts above will be forfeited. Acne Peels or Facials will accrue every 2 months, ie for every two $30 payments (totaling $60) 1 Acne Peel or Facial is earned. If you cannot make it in for your treatment within 2 months, you can use your treatment later at your convenience. Refunds cannot be offered for un-redeemed benefits. Reminder: to keep your skin clear it is highly recommended to come in every two months. A referral is the greatest compliment. Our program has helped thousands of people get clear and we want to help more people like you to feel confident again! For every person you refer to Natural Acne Clinic, you will receive a $20 credit to your account to use towards your next purchase.